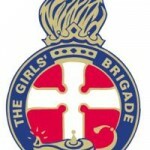 The Girls’ Brigade is an international Christian youth organisation and is widely recognised as the sister organisation to the Boys’ Brigade. 1st Torrance GB meets every Wednesday night at Torrance Church. Girls Brigade, in its earliest forms, has been around in Scotland for over 100 years. We don’t want to live in the past because our function is to serve today’s young people. However, our aim has not changed: “to help girls become followers of the Lord Jesus Christ”. We recognise that the influences surrounding our young people are not always helpful and that too many lose control at great cost to themselves and their families. The answer is to catch the energy and enthusiasm of youth and to channel it purposefully with the ultimate hope – and privilege – of leading the girls to a life of service for Christ. Juniors are busy people, there’s no doubt about it! They meet every week to chat; laugh; see their friends and make new ones; they dance; sing; act; talk; listen; bake; craft; play games; do maze marching and drill; conquer challenges; see and experience new things, find out about the world and themselves; and learn of God’s love. They go to camp, take part in competitions, have parties, put on displays; help people and fundraise for charities: and through all this gain confidence, new skills, learn self control and respect for themselves and others. The girls will follow a programme to complete Badge work in topics of Educational, Spiritual, Physical and Service. As Brigaders there is so much to do and so many opportunities open to the older girls. As well as more challenging badge work within Girls’ Brigade and the focus on Spiritual, Physical, Educational and Service topics as Brigaders they are involved in picking topics that are relevant to them, where they can extend current interests, i.e., dance, music, art, drama, sports and have the opportunity to be introduced to new concepts, to think about who they are and how they fit into the world around them. Brigaders isn’t all theory, it’s about getting out, getting involved and making a difference for themselves and those around them. They can also take in the opportunities and challenges of Leadership Training, The Duke of Edinburgh’s Award and Queen’s Award and experience all they have to offer. All leaders have been fully disclosed and experienced in teaching / guiding the children. Entered Keep Fit competitions – although we didn’t win we had a great time! For more information, contact Sheila Traynor. Visit the Girls’ Brigade Scotland website.